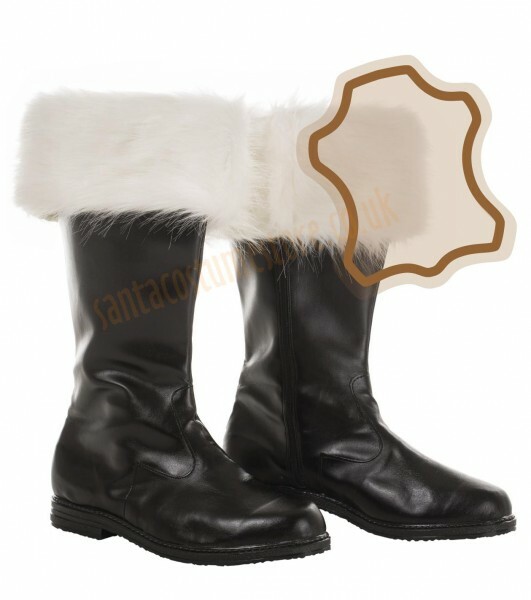 Unique Santa suit boots, the only ones of their kind on the market, made of real leather. Just right for the most demanding of Santas. 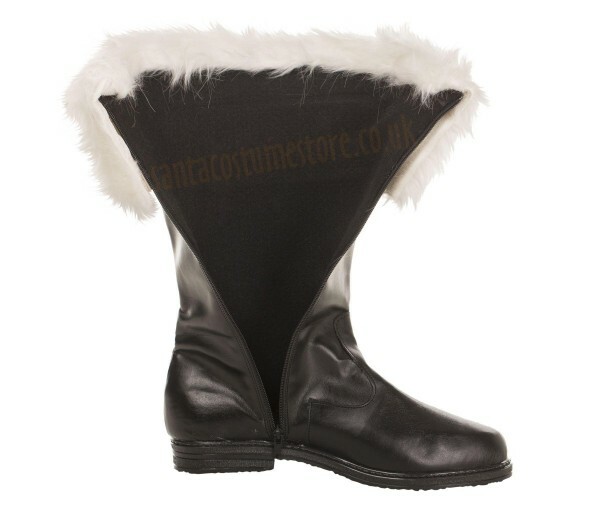 Smart and durable, these black leather Santa boots are the perfect choice for those valuing long-term solutions and comfort. Apart from looking great, they can keep Santa happy for many a season. 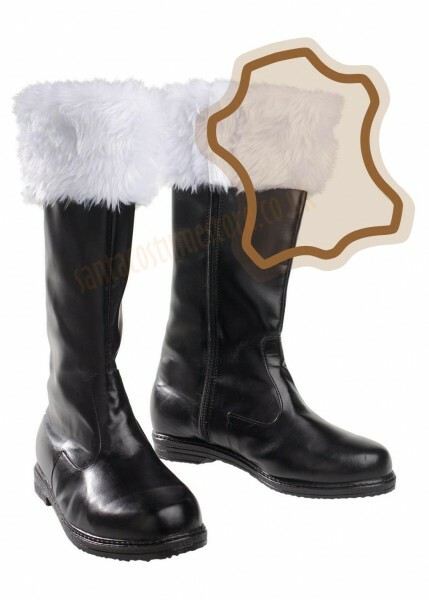 Santa suit boots made of full-grain leather, semi-gloss. 14" (35.5 cm) tall, fitted with a zip along the entire length. 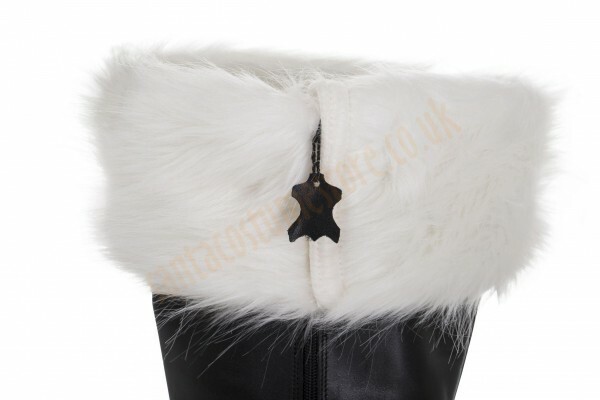 The bootleg is topped with an ecru fur trim, matching the deluxe and super deluxe Santa suits. 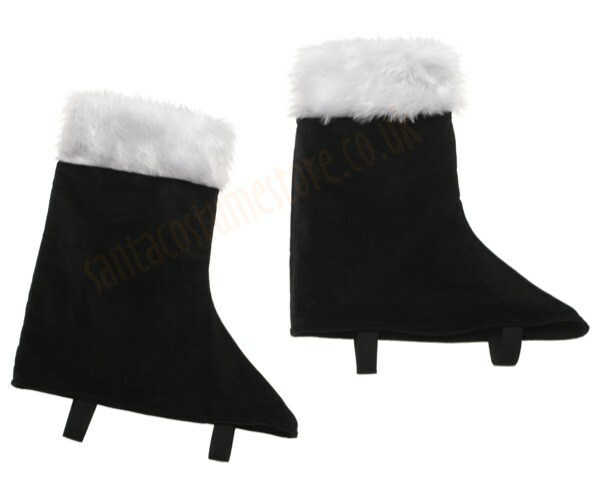 Real leather Santa boots are available in sizes 42, 43, 44, 45 and 46 (EUR)/ 8 - 11 1/2 (UK).